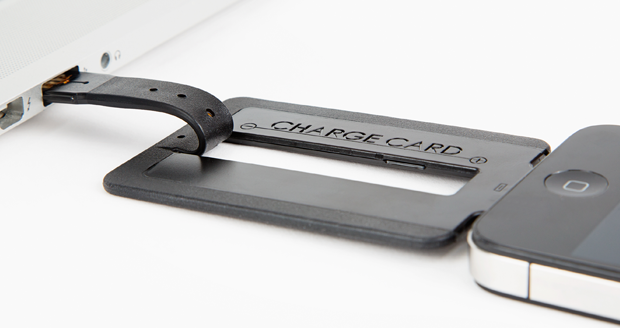 The ChargeCard is a charging cable you can keep in your wallet so you never get caught out! 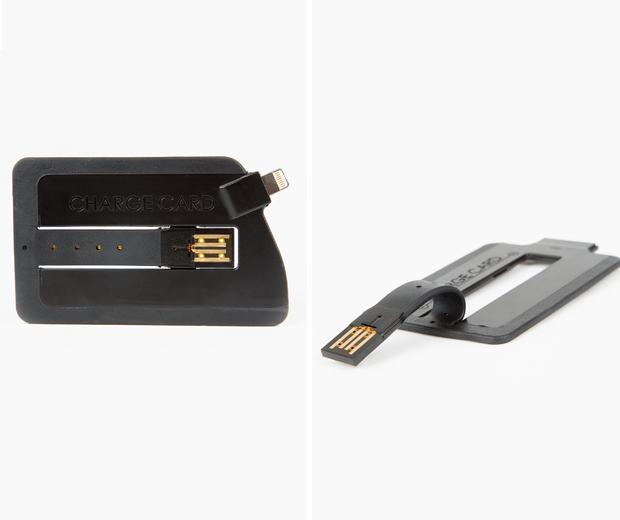 It's the same size as a credit card and made from durable plastic which will bend but not break. 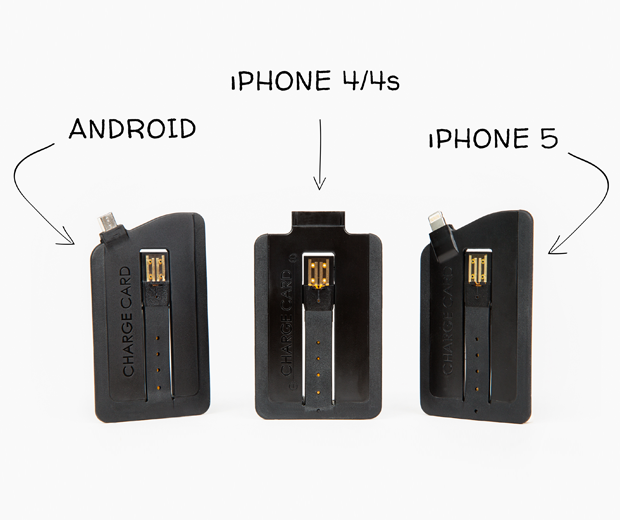 It will sync as quickly as you current USB 2.0 cable and the Andriod version will work with ANY Micro USB device. 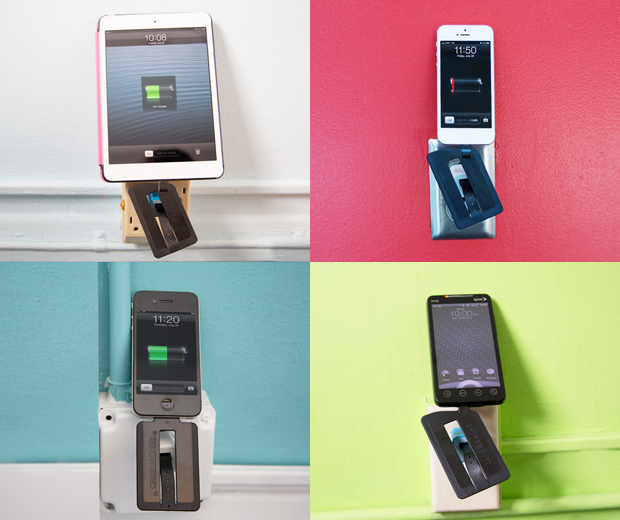 Comes in 30-pin, Lightning and Micro USB.